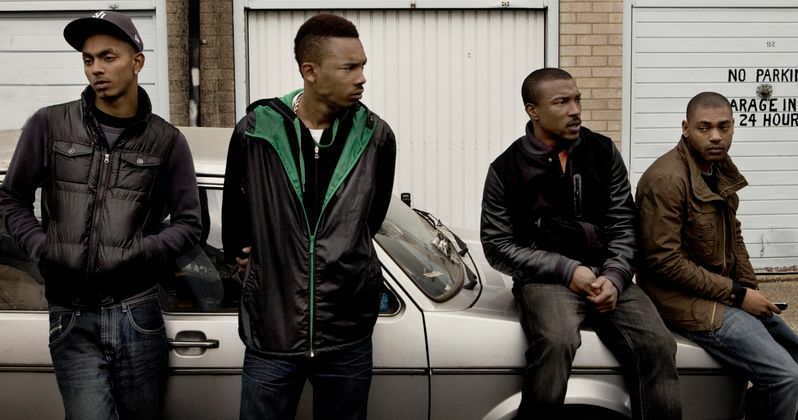 Netflix, the world's leading Internet entertainment service, will bring viewers a new chapter of Top Boy, the gripping, gritty British drama series following two drug dealers at a public housing estate in East London, created and written by Ronan Bennett. The original series aired two seasons on broadcast in the UK before ending in 2013; both seasons are now globally available on Netflix. The next chapter, consisting of ten all-new episodes, will be written by Ronan Bennett and executive produced by the original creative team, Charles Steel and Alasdair Flind (for Cowboy Films), Ronan Bennett (for Easter Partisan) and Yann Demange, and will premiere as a Netflix original series in 2019. Here's what Ronan Bennett had to say in his statement. "I am delighted to be reunited once more with the Top Boy team, our wonderful cast and my partners at Cowboy Films, and to have Drake and SpringHill as new collaborators. And I could not be prouder to be doing the show with Netflix." In addition, the new installment will be executive produced by multi-faceted entertainer and producer Drake and his business partner Adel "Future" Nur, along with Maverick Carter and Jamal Henderson for SpringHill Entertainment. The new episodes pick up as Dushane (Ashley Walters) returns from exile to his home in London to reclaim his throne in the highly lucrative drug market. He teams up with Sully (Kane Robinson), his spiritual brother, partner, and sometime rival who is also returning to the same streets after his own form of exile, prison, comes to an end. Awaiting them both is Jamie, the young, hungry and ruthless gang leader whose ambitions leave no place for Dushane and Sully. Here's what Cindy Holland, Vice President, Original Content for Netflix, had to say in her statement. "We couldn't be more excited for Netflix members around the world and a new generation of fans to discover the authentic, raw and real world of Top Boy. Drake came to us several months ago with a passion to help bring this series back to life, and we're thrilled to support the original creative team to do just that." SpringHill Entertainment is the entertainment and content company created by LeBron James and his business partner Maverick Carter. Named after the public housing complex where James grew up in Akron, Ohio, SpringHill Entertainment develops creative content across a variety of platforms including digital, documentary and feature films, and scripted and unscripted TV. SpringHill Entertainment has offices in Los Angeles and Akron. Cowboy Films is an independent production company headed by producers Charles Steel and Alasdair Flind. Creating feature films, television drama and documentaries, credits include the Oscar winning film The Last King of Scotland, Marley, the feature documentary about the life of Bob Marley and the BAFTA winning TV Series Top Boy. Top Boy serves as Drake and Future's first foray into television production, for which they serve as Executive Producers and musical supervisors in this next chapter of this gritty drama series. Telling stories that speak to the next generation has always been important for this Toronto based team. The long-term goal for both business partners is to give opportunities to creators across all formats including TV, feature film, short form, documentary and digital platforms. Hopefully we'll find out more about this Netflix series soon.